No one wants to get into a car accident. However, some drivers will intentionally cause a car crash with the goal of receiving insurance money for vehicle damage and fake injuries. These are called staged auto accidents and they are more common they you think. If you think you may have been the victim of fraud in a car accident, it might be a good idea to find a personal injury lawyer in Philadelphia. Protecting your rights is going to be your best defense. In a staged auto accident, the innocent driver can be left with a blemished driving record, raised insurance rates and an overall hassle of trying to fight the case. Not to mention, if your car sustained damage and you were injured, dealing with insurance and medical bills can seem daunting. Culprits behind staged auto accidents attempt to get into a collision with an unsuspecting driver in a way that makes the innocent victim appear to be at fault. They often enlist passengers and witnesses who will fake injuries and blame the innocent driver to help with the scam. Although it is almost impossible to avoid many staged auto accidents, victims can protect themselves from these scams. Drivers with cameras or cell phones with cameras should take as many pictures as possible. Take photos of the vehicles, the damage, the other driver’s license plate and even the other driver and passengers. Take notes that describe the accident and what happened as well as jotting down the other driver’s name, address and phone number. Describe everything in detail that you can including physical descriptions. Don’t forget to get the other driver’s insurance information regardless if the police report states it or not. You usually have to wait a few days for a police report to come out. You want as much information as you can get as soon as possible. Never settle with cash and report all details of the accident to the police, insurance company and even a personal injury attorney if you were injured or feel threatened. Having someone on your side is crucial to your emotional well-being. If you suspect this accident was a scam, you are a victim and letting them get away with it shouldn’t be an option. You risk possibly damaging your driving record and causing your insurance premiums to go up. You should fight for your rights and Martins Mill Legal Center can help you. 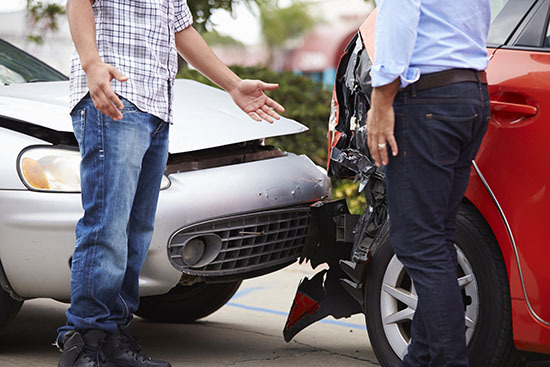 We are highly trained in personal injury cases and staged auto accidents.